Bored at work and nursing a broken heart in London , Bryce Corbett applies for a job in Paris on a whim. He exaggerates his resume, and somehow lands the position. While in Paris, he takes advantage of everything the city has to offer, from the food to the nightclubs to the women. This isn’t really one of the better Paris memoirs, although I did find Corbett to be funny at times. He is either witty and self-deprecating or pompous and narcissistic. The book is more like a series of essays, there is no structure or form to it really. He constantly refers to his girlfriend as “the showgirl” which is demeaning. Maybe the book is meant to be really light-hearted, but it came off as unprepared for print. Although the book is set in Paris, Corbett’s quest for love could have taken place anywhere in the world. 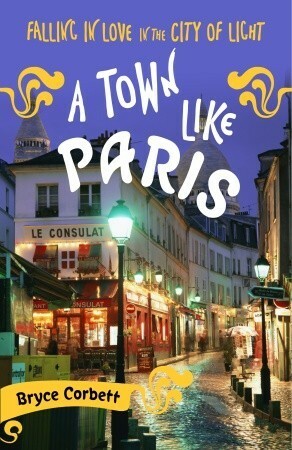 Paris actually has very little to do with the book other than being a backdrop to his escapades. I read this book so long ago, and on as an ereader, that to be honest, my memory is a bit dusty. I do remember laughing a lot when I read this book, but in regards to the actual substance of the story, I’m at a loss. I won’t lie. This book clearly did not stay with me as other Parisian memoirs have. Peter Mayle’s A Year in Provence hit the right notes of humor, wit and culture insight. Stephen Clarke’s A Year in the Merde is the book, if you are looking for something hilarious, sarcastic and snarky. © 2014 by Nari of The Novel World. All rights reserved. You can also follow me @TheNovelWorld or at my Tumblr.